​Juventus and Ajax will lock horns once again on Tuesday for the second leg of their Champions League quarter-final clash. 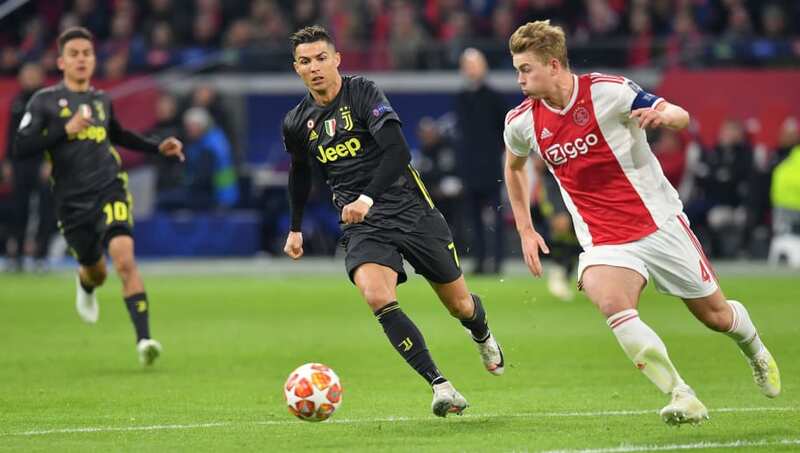 The Johan Cruijff ArenA played host to a thrilling first leg, which finished 1-1 thanks to goals from Cristiano Ronaldo and David Neres. Juventus narrowly have the edge heading into Tuesday after they were able to secure a crucial away goal, but Ajax's superb performance - coupled with the fact that they previously dispatched Real Madrid at the Bernabeu - means that the outcome of the tie is firmly in the balance. Check out 90min's preview of Tuesday's clash below. ​Cristiano Ronaldo returned to action after a brief injury layoff to play a pivotal role in the first leg draw and, after being rested during ​Juventus' Serie A defeat against SPAL on Saturday, he should be fit to start again on Tuesday. Whilst the news surrounding Ronaldo is positive, Massimilano Allegri does have a number of other issues to contend with. Giorgio Chiellini, Martin Caceres, Emre Can, and Douglas Costa are all set to miss out through injury, while Blaise Matuidi is a doubt after leaving the field early during the first leg. No such concerns for Ajax, as Hassane Bande and Carel Eiting are the only two players currently missing through injury. After the Dutch side's impressive first leg performance, they are unlikely to tinker too much with their starting XI. ​Ajax ​Onana; Veltman, De Ligt, Blind, Tagliafico; De Jong, Schone, Van de Beek, Ziyech, Neres; Tadic. Juventus certainly have the upper hand when it comes to the history of this fixture, as I Bianconeri are unbeaten in their previous nine matches against Ajax. In fact, the last time the Dutch side got the better of their Italian opposition was back in 1973, when they lifted the European Cup in Belgrade. Prior to the first leg tie, the last time the two teams met in the Champions League was back in 2004, but they did face off against one another in the Europa League in 2010, where Juventus prevailed 2-1 over two legs. Juventus have been in imperious form so far this season, but they are currently going through a sticky phase, at least compared their usual lofty standards. They have been defeated by lowly opposition in two of their previous five Serie A matches and weren't overly convincing during the first leg draw last week. Ajax have been enjoying a stunning season and they continued their march to the Eredivise title with a comprehensive 6-2 win over Excelsior on Saturday. They are now unbeaten in their previous five matches in all competitions, scoring an impressive 19 goals in the process. Here's a full run down of both side's previous five results. Juventus aren't necessarily at the peak of their powers right now and they have a number of first team stars out injured, but their insatiable desire to end the long wait for Champions League glory shouldn't be underestimated. Ajax have performed admirably to get themselves into this position and, if they can grab an early away goal then they'll have genuine shot at causing another upset. They don't, however, have Ronaldo in their ranks. As have been proven countless times, the Portuguese superstar lives for games like this and his influence could end up deciding the outcome of the match. It certainly won't be straightforward, but Juventus should have enough experience to get the job done.